Ever since Snapchat rolled out its new design, there’s been a lot of fuss about it on the media. A lot of people seem to be upset about the redesign, including Kylie Jenner. She also went on a Twitter rant about it, which was said to be the reason behind Snap’s Wall Street breakdown. But despite all the alarming headlines which you may have been reading, it appears that Snapchat actually has seen a surge in download figures off late. 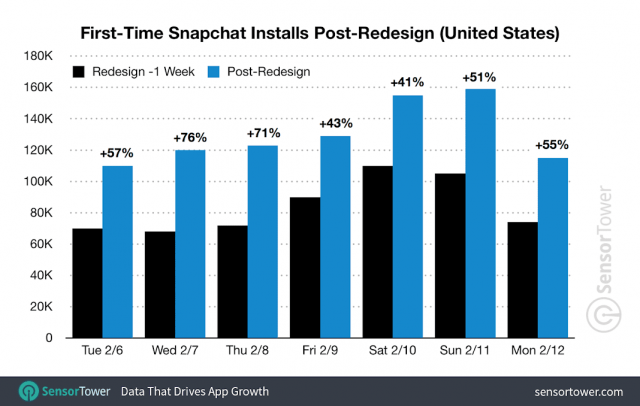 According to data provided by Sensor Tower, Snapchat downloads in the US actually went up by a significant amount in the days following the release of the redesigned app. “New installs of the app increased a minimum of 41 percent over the same day a week earlier on Saturday, February 10, and as much as 76 percent on Wednesday, February 7,” the report said. Believe it or not, the average growth of first-time installs was 55-percent when comparing the week before and after the redesigned version’s US rollout. It is expected that this surge in interest could help Snapchat put up good numbers in their earnings report. 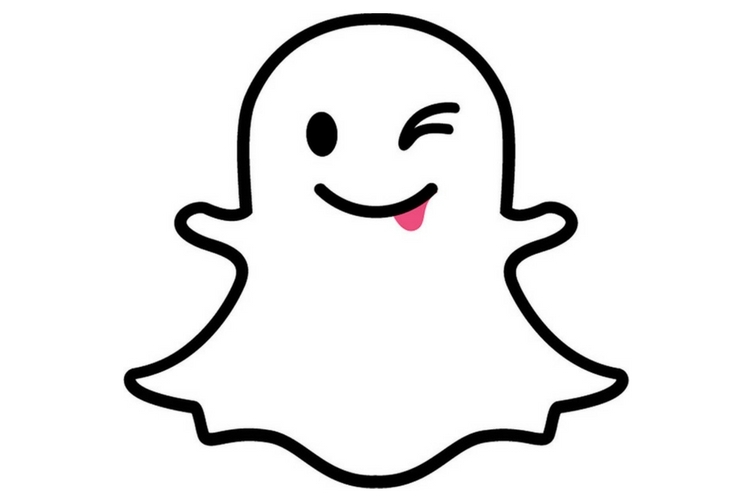 Furthermore, a report from App Annie shows that Snapchat went from being No. 7 on the US App Store charts to No. 2 a day after the redesign rollout. And despite Jenner’s tweet, Snapchat managed to top the charts the following week. Talking about the numbers on Android, SimilarWeb found that Snapchat maintained a solid 25-percent install rate on all U.S. Android devices through the whole fiasco. At this point, it’s not entirely clear if Snapchat has been buying app install ads to boost the numbers. However, it is also possible that people are trying Snapchat just out of curiosity. Whatever it is, Snapchat has managed to remain at the center of the conversation. Even some of the complaints we’re seeing reinforce the philosophy. So for example, one of the complaints we got was, ‘Wow, I used to feel like this celebrity was my friend and now they don’t feel like my friend anymore.’ And we’re like, ‘Exactly. They’re not your friend!’ … So for us, even some of the frustrations we’re seeing really validate those changes. In all fairness, Snapchat’s idea to change the app design to show more from your friends than from celebrities such as Jenner isn’t a bad idea. In fact, Facebook also changed its news feed to achieve the same goal. So, is the new design affecting Snapchat’s reputation? Perhaps. Will Snapchat revert back to the old design? Of course not. As the CEO pointed out, the new design is here to stay. And if the numbers remain unaffected, then the design is something that people will have to get used to over time.